First Unitarian Church of Salt Lake City, Utah - Art Fair! available. Jr. Choir performs at 6:25 on Saturday. 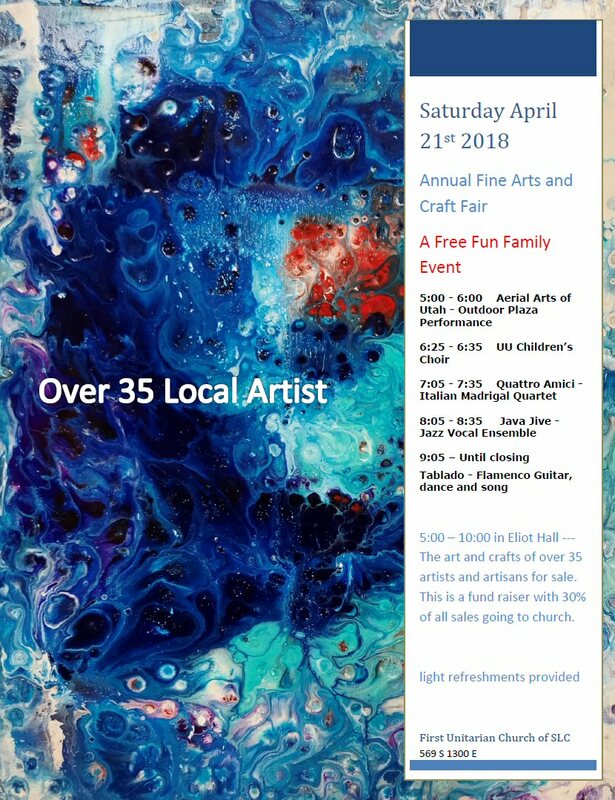 This is a fun event full of art, music and dance. See you this weekend, April 21st and 22nd!